We’re looking forward to exhibiting at this year’s NACUFS 2018 National Conference in Providence! This will be our third time in the showcase, which I suppose makes us officially sophomores. For those who are unfamiliar, NACUF’s mission is to promote excellence in collegiate dining, so it’s a privilege to showcase alongside some of the best college and university food service operators in the world. It also begs the question: With so many great exhibitors, why should you take the time to visit the Foodesign Booth (#575)? 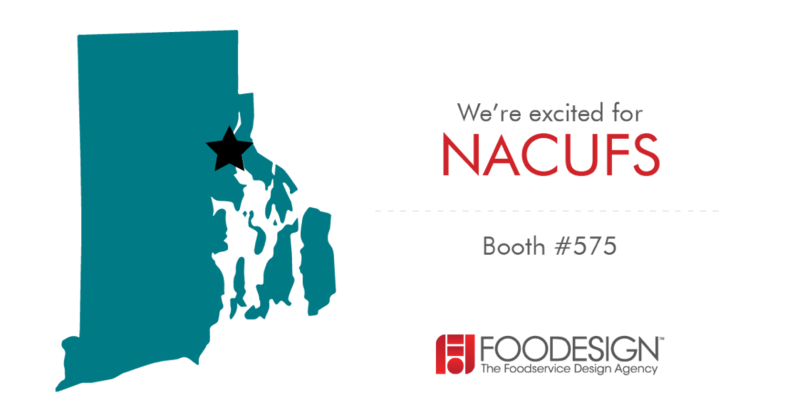 Perhaps it’s best to start with why Foodesign attends NACUFS National. “We attend NACUFS National Conference because it gives us an opportunity to connect with foodservice professionals in the College and University market and develop long-lasting relationships. So what does Foodesign contribute to the collegiate foodservice conversation? Well, for starters, we’re a foodservice consulting agency that has designed foodservice spaces in colleges and universities for the last forty years. “But experience doesn’t equal relevance,” you might respond. And that’s true. There would be little point in visiting a booth just to flip through a history of obsolete kitchen blueprints. Foodesign is dedicated to addressing the ever-changing needs of college students. In doing so, we have grown right alongside the industry. When technology and customer experience began to take a more central role in foodservice, Foodesign merged with theFUZE (a full service creative agency with over 30 years of commercial experience). Since then, we’ve engaged in widely diverse creative projects with colleges large and small. Not just building and renovation projects, but full-concept development and technology projects. Our experience and vast network of industry relationships have given us a unique insight into the proven strategies of CU operators. Why mention all this? Well… to brag a bit, sure, this is a marketing blog. But also to give you a solid reason to swing by. We’re always looking for a new challenge, whether it’s a logo update, website refresh, operations assessment, student engagement campaigns… I could go on, but you get the idea. Who’s going to be at the booth? Chances are, if you’ve been involved with NACUFS in the last few years, you’ll probably at least recognize our two lovely booth-dwellers. But on the off-chance you haven’t met them yet, here are their names along with a short professional bio. Kris Morphis is a principal and Vice President at Foodesign. In his 18 years as a food service consultant, he has planned, designed and implemented thousands of facilities across all market segments. Kris is nationally known as a leader in kitchen design innovation. 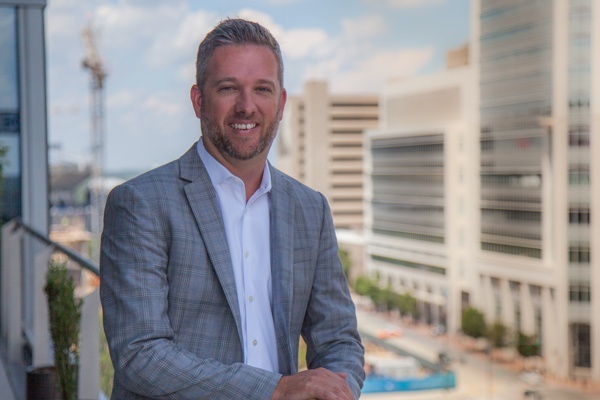 His most recent recognitions include the 2016 Pioneering Concept Award from HX: The Hotel Experience, and he currently sits on the IATF Board for NACUFS. 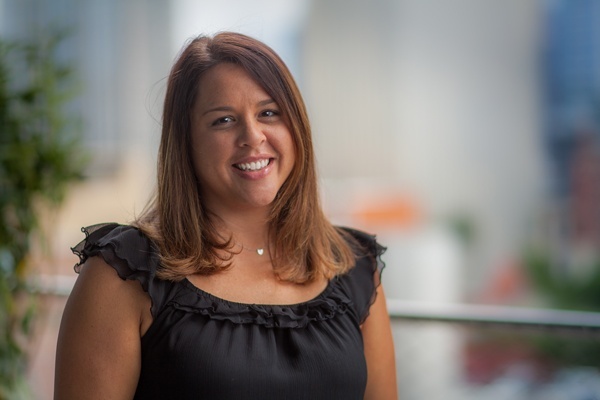 Emily has over 20 years in the foodservice industry, with 10 years in operations management and 8 in University dining (both residential and retail). Prior to joining Foodesign, she worked as Operations Manager for Georgia Southern University Dining, where she served NACUFS as Southern Region Marketing Chair, member of 2017 National Conference Committee Task Force, and president-elect of the Southern Region. Emily now works as Foodesign’s Project Director of Strategic Planning. Hopefully I’ve given you enough reasons to swing by Booth 575 at the showcase on Thursday and Friday. If not… well, then I think it’s fair to assume you aren’t going. If you’d like more information about Foodesign and what we do, feel free to check out our website here. 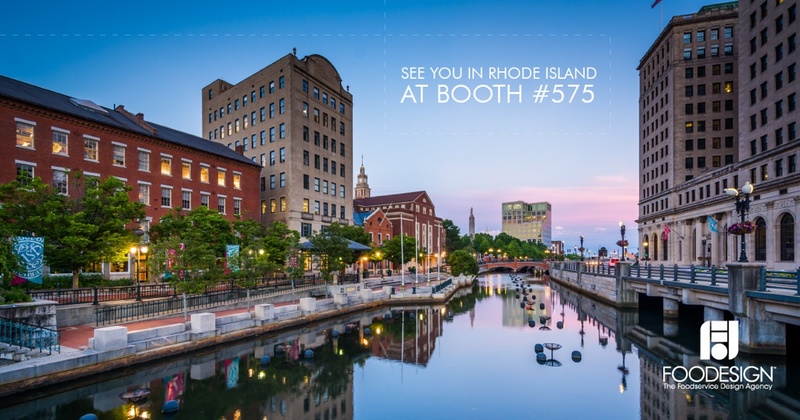 Join us in celebrating the 60th anniversary of NACUFS® at the NACUFS 2018 National Conference in Providence, Rhode Island from July 11-14, 2018. See us at Showcase at Booth #575! Follow us throughout our NACUFS® adventures on Instagram, Facebook and LinkedIn. If you’re looking for sightseeing quests while you’re in town, we also plan to visit these 5 local places during the conference!